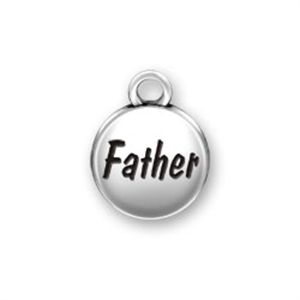 Here are some Message Charms or charms with words on them. 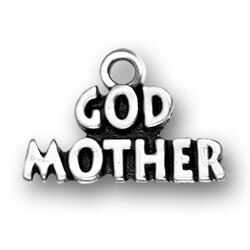 We have God Mother, Grandma, several MOM charms, Super Mom, Worlds Greatest Mom and a Family charm. 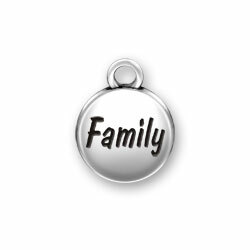 All charms are sterling silver and come with a split ring, not shown on most, so you can put it on your existing charm necklace or charm bracelet. Need a charm necklace? Need a charm bracelet? Love and appreciate your Mom, Grandma, Daddy? 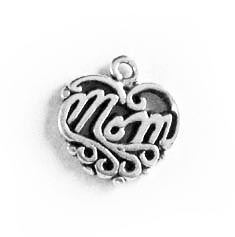 Add this Sterling Silver Mom Charm, God Mother, Grandma, Family or Father charm(s) to your collection. She will smile every time she sees it on your bracelet. What an honor and demonstration of trust to be chosen a God mother. 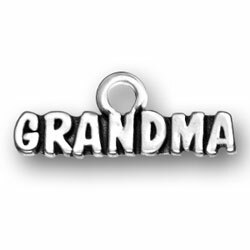 This Sterling Silver Godmother Charm signifies your specialness.